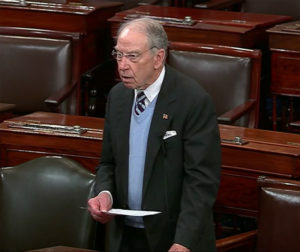 Senator Chuck Grassley on the Senate floor. 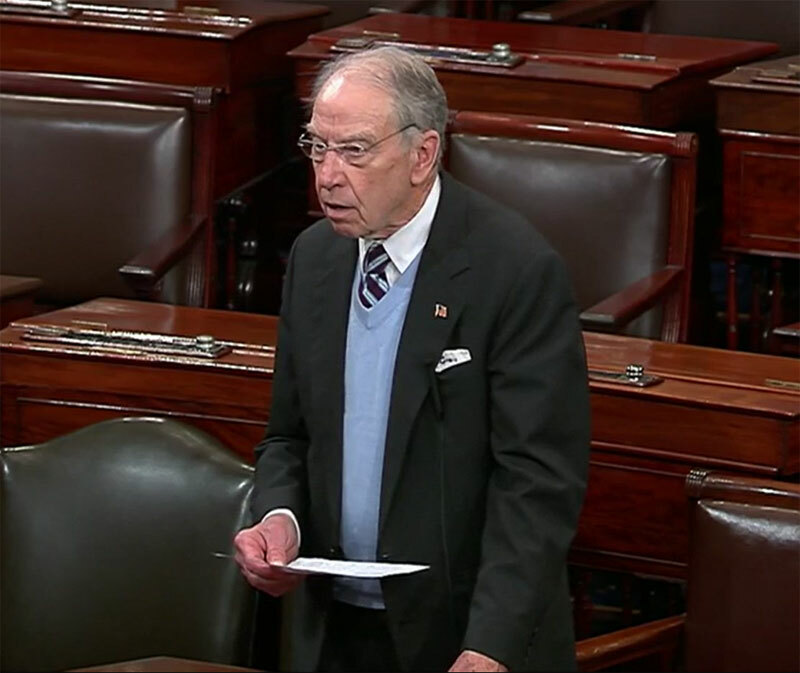 Iowa Senator Chuck Grassley is criticizing Democrats in the Senate who last night blocked consideration of a disaster relief package that included money for flood recovery in Iowa and across the Midwest. The appropriations bill would have put $13.5 billion toward disaster relief, but Democrats opposed it, saying not enough money was being devoted to helping Puerto Rico. That island nation was hit by two hurricanes in 2017 and is still in the process of rebuilding. It’s unclear when the disaster relief package will next come up for a vote.